Radio 3 Llangollen TX 91.1 is broadcasting an announcement today that it is switching to BBC Radio Wales from 24th October and you need to retune if you wish to carry on listening to BBC Radio 3. I am getting the PI Code is CF3F. RDS now reads "__BBC___" at the moment. The announcement is giving retune information suggesting 90.5 for Shropshire and Staffordshire and 91.5 for Merseyside, Cheshire and Flintshire and North Wales coast. I understand that the BBC want to extend the coverage of Radio Wales on FM as for historic reasons Radio Wales has very few FM transmitters. I am not sure if any other welsh Radio 3 Tx's are carrying the announcement as the band is flat here today so I can only hear LLangollen. I wonder if they will be switching all welsh transmitters that carry Radio 3, but DO NOT carry Radio Wales, I think that is 31 with all the little relays. Anyway that is good news for me as I listen to Radio Wales online on Sunday nights to Frank Hennessy and now will be able to hear it with a normal radio. I think radio Wales has better music output than BBC Local radio at the weekends and the Sunday night Celtic Heartbeat show is one of the best music shows on the radio playing folk, roots and acoustic music from the Celtic countries. Folded Dipole Vertical in the loft. 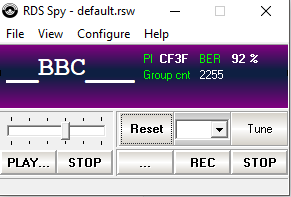 Thanks for the heads up 91.8 Long Mountain is also broadcasting the announcement so does look like all Welsh R3 are switching PI code is also CF3F. Receiving equipment: 2 Sony ST-S311, 2 Sony ST-SE920, 1 Sony ST-SE700 1 Denon TU-1500RD 2 crossed FM 5s rotatable, 1 homemade FM 3 horizontal beaming S/E, 1 vertical FM 3 fixed beaming at Ireland, 2 element band 1. Just heard the announcement on 90.6 Presumably Carmel so really confirms that all R3 TXs in Wales are going over to Radio Wales. Interesting, It must be a different announcement on each transmitter for alternative ways to hear radio 3 depending on which TX you used get Radio 3 from. Yes I'm getting the retune announcement here on 91.1 from Llangollen via scatter. It should make it easier to spot these Welsh relays during tropo lifts. Andy I suggest you are hearing Penmaen Rhos on 90.6 as Carmel will not be switching since they already have a Radio Wales relay on 95.1.
a lot of people are going to get some surprises when they realise the tx they're hearing is not what they thought! Rx: Burkhardt Reuter RDR54D1, Elad FDM-S2, Airspace HF+ w/ CLP 5130 Log P ant on rooftop rotator V/H polarization options. Thanks Tim yes same message on all three received here all referring to same locality so it is Penmaen Rhos on 90.6 as you said. Can you hear Conway on 91.3 Andy? Andy can you hear Betwys-Y-Coed on 90.4? come on @john faulkner, we're having a welsh relay party! can any of our friends in the west country report on the southern half of wales? Eagerly and impatiently waiting for that season. It would be a shame if this happens everywhere in my opinion as it will make FM even blander. I'd agree on 6 Music being swapped with R3, though... So much interesting music! Hi Tim no can't hear any of them here I don't want any more stations on the band it's ckocker enough as it is. According to the BBC, this switch-over will have an impact on at least 32 (!) low power or mid power relay stations that carry Radio3 until today. I do not quite get it: Why are they doing this now, in 2018 while DAB digital radio has a good coverage on the market? It would be more logical they did it 10 years ago but the choice of time and date is rather surprising. Guess this will spread towards Scotland as well sooner or later. "BBC Radio Wales broadcasts high quality, original, challenging and innovative programmes for a Welsh audience, championing Welsh culture, music and arts." So, as I understand, Radio 3, the original cultural station, does not?? Just because it is being produced in LDN or what !? Why do people have to tune in Radio Wales, what about Radio Cymru and Radio Cymru 2 ?? Do Welsh people in fact need 3 (!!!) regional public radios? Time shifting Radio Cymru and Radio Wales on ONE channel at daytime throughout FM, while switching-off all other FM and running all three of them pure digitally would be better advertising to make DAB digital radio and Satellite TV more popular. The majority of people in Wales have English as their first language, not Welsh, hence the reason for increasing coverage of Radio Wales, which is in English. Obviously ofcoms failiure to protect the band means BBC Radio Wales MW signal is no longer useable in urban & suburban areas. why was the decision made back in 1968 to put it on Medium Wave instead of having it on FM like Radio Cymru? Enhancement to the west coming over next 4 days which should reveal if any other txs are carrying switchover messages.